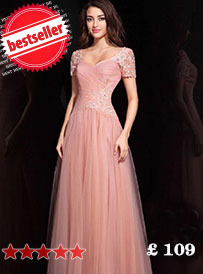 As 4prom.co.uk providing a range of convenient payment options, it is very easy and convenient for you ordering on our website. Below is a guide to the different payment methods supported by 4prom.co.uk, so you can choose the most appropriate payment method for you. We currently accept Visa, MasterCard, American Express，Discover, Dinners Club and JCB credit card payments from most locations worldwide. Paying by credit card is safe, easy and convenient at 4prom.co.uk. 1. On your Shopping Cart page, click "Proceed to Checkout" after reviewing your items. 4. After reviewing your payment details, click "Place Your Order". All your credit card details are securely stored and not 4prom.co.uk. Paying by credit card is a quick, secure, and convenient way to order from us. Note: 4prom.co.uk does not store or review your credit card & personal information. Should any issues arise regarding your credit card transaction, please contact your credit card company for assistance. 4prom.co.uk cannot accept any responsibility for any credit card payment issues. After adding your wanted goods to cart, then you can click Proceed to Checkout. On the Payment Information page, select the Western Union option. After reviewing your order, click Place Your Order. You have successfully placed your order, but 4prom.co.uk will not start processing your order until you pay the promised amount. To complete payment of your products by Western Union, go to your local Western Union branch, or go to their website, and follow the instructions. After successfully transferring the funds, you should follow the link to the payment details page sent to your email, fill in the details, and then click Send. You're done! For any further questions about your order payment through Western Union, please email to: service@4prom.co.uk. The customers are responsible for any local Western Union handling fees by customary rule. Therefore, customers should confirm the specific payment amount with their local Western Union.